Right now, it’s March, it’s finally snowing here in central VT. This winter has been pretty mild, both in temperatures and snowfall. I’ve only had to run the snowblower once all winter. It’s snowing today so that may change. 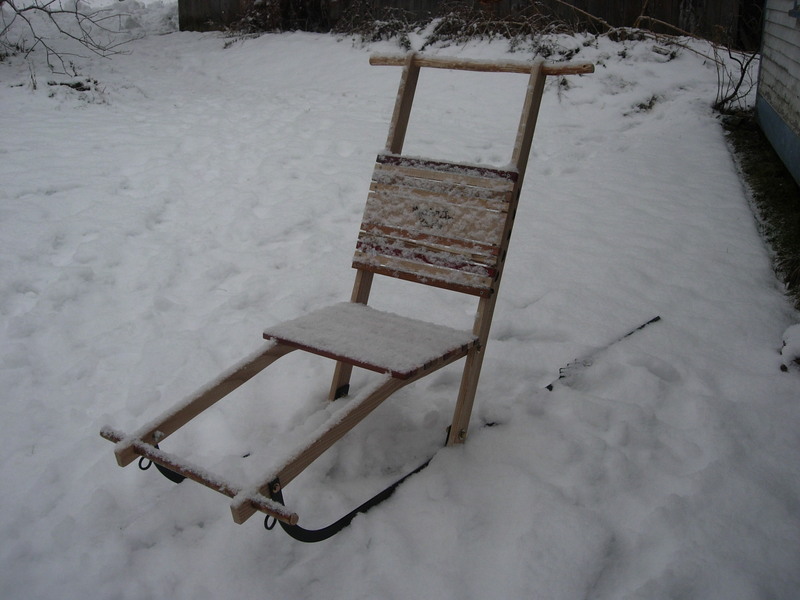 I think we missed out on all the snow since I got an amazing Christmas gift from a group of farm supporters…..a Mountain Boy Sledworks Kicksled! You know how once you are prepared for something, it doesn’t happen. The flock is all doing well, the girls are looking large, bellies swollen with new lambs and kids to come. They are due to start lambing and kidding any time after the end of this month. Anna is looking huge, and will probably be the first to go. I’ll be amazed if she doesn’t have twins. I’m really looking forward to lambs and kids. Hopefully it will all go smoothly. 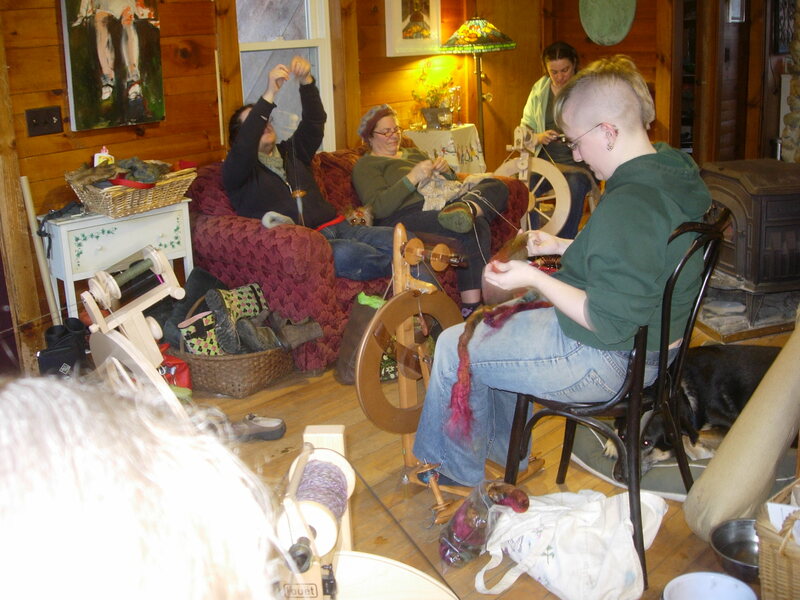 I’ve been doing lots of spinning, and some knitting. Mostly right now, I’m finishing up skirting and picking fleeces to get them out to the mill. I have a little bit of a back log of fleece…but should have it all out for processing before the shearer comes this spring. If you are a member of my ravelry group then you already know about the Harvest Share program I’m starting. I’ve been toying with the idea of some kind of CSA or something ever since I won the goats in 2009, but hadn’t been able to come up with a model that I felt comfortable with. I have never felt comfortable with the idea of selling fiber before it exists…what if something terrible happened and all my animals died, or they all got into the burdock (like Skippyjon did in December) and ruined their fleeces for the season? Finally, it came to me. Harvest Shares. These are shares of the actual harvest, they are not sold until the fleece is in the bag. 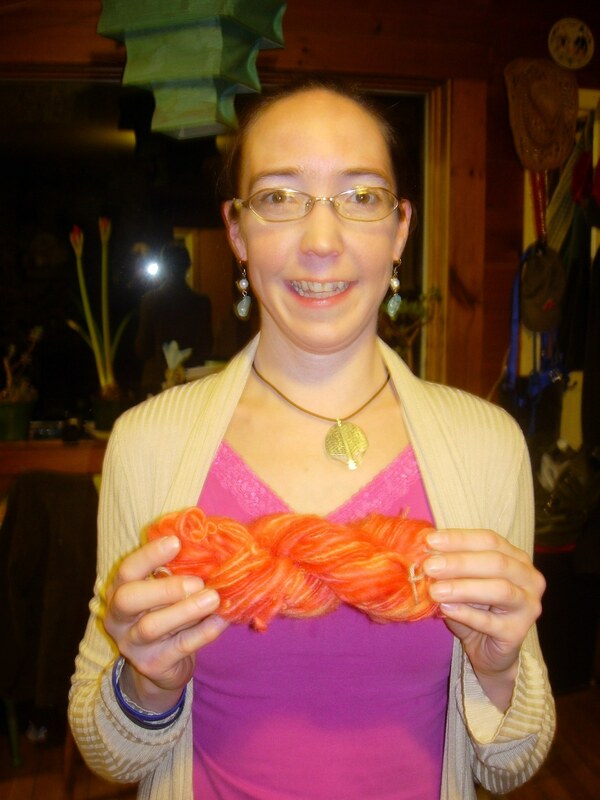 Then I determine what blends I’m going to do, what will be yarn and what will be roving, and then I sell the shares. 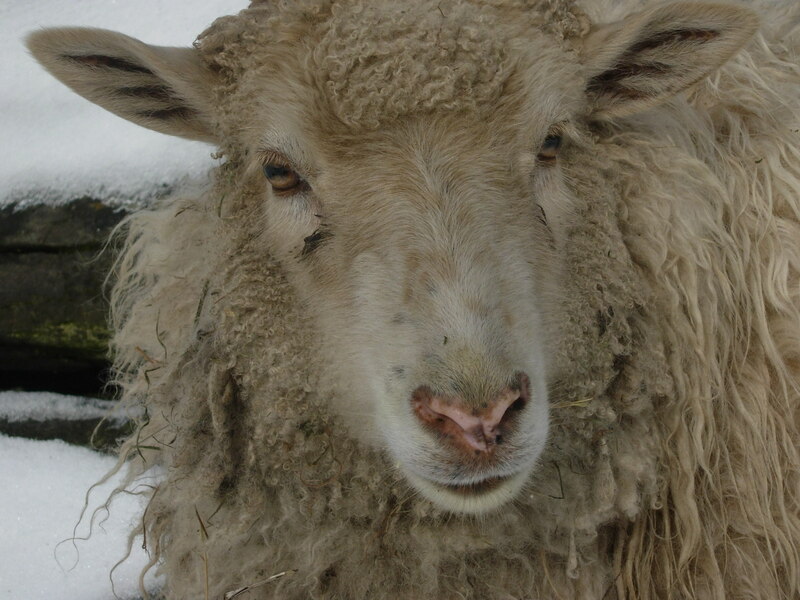 I’m continuing to keep each mohair fleece to itself, blended with one sheep’s fleece, so you know exactly which animal your yarn or roving comes from. They are very limited in availability and so I am offering limited numbers of shares because I want the shareholders to receive enough product to make a substantial project. Since I shear twice a year, I will offer Harvest Shares on one shearing, and reserve the other shearing for festival and online stock, experimentation etc. 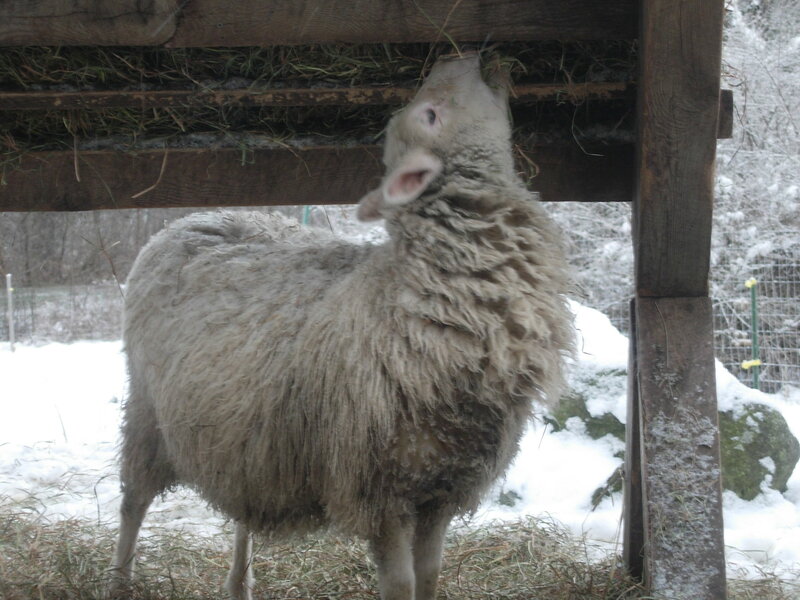 The first round of Harvest Shares was offered the last week of February, and is for the Fall 2010 shearing. I was amazed that they sold out very quickly, within a couple of days. I announced it to my ravelry group, thinking that then I would post the shares in my etsy shop, but they sold so fast they never made it to the etsy shop. 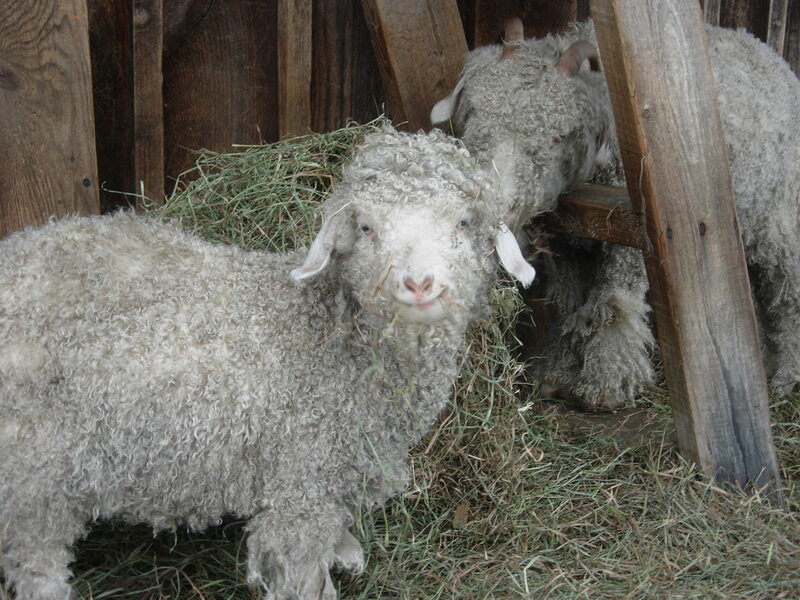 I will be offering the next set of Harvest Shares soon, and will be the Spring 2011 shearing. I’m still gathering some fleeces for blending with those, so they won’t be available until I’ve got those all in the bag as well. I may have to wait til Spring shearing gets under way at my favorite Cormo and Coopworth farms, but I’ll keep you posted here. I hope to be a better blogger now that the big computer kerfluffle is behind me. Thanks for your support! Welcome back! So glad you have a cooperating computer again! I hope you can use the kicksled a little bit before your snow goes all away again. We are beyond excited about the harvest shares, what a great idea. Wow seeing Lorelei under that hayfeeder really puts in perspective how big she has gotten.